Sensoria has decided it's time to upgrade its connected socks by announcing the Sock 2.0, which offers more running metrics and now even wants to tell you how well you've run. Made from antibacterial, anti-blistering and sweat wicking material, the new smart socks are apparently two times lighter than the first version, while the improved pressure sensors are now better protected from sweat and water. They also use the Sensoria Core, which packs in the electronics and provides the tracking brains. It connects to the sock's three pressure sensors embedded under the plantar area of the sock. Once you've pulled them on and get out running, they'll still record pace, distance, speed and time as well as track routes via GPS. They'll also pick up cadence data alongside foot landing and impact forces exerted by the runner. This data can be streamed to the Sensoria 2.0 iOS app in real time or you can store running stats on the socks for more than a month. That's not it, either. A new AI-powered coach called Mara will provide actionable advice on how to run farther, faster and healthier. There's even a virtual shoe closet that let's you browse 8,000 models of shoes and informs you when it's time to buy a new pair. Sensoria's Core tech is finding its way into other places as well as the company is using CES to announce it is teaming up with barefoot running shoe makers Vivobarefoot to build a concept smart running shoe. It aims to help barefoot runners monitor speed, pace, cadence, GPS track, foot landing technique, time on the ground, impact score and eventually, asymmetry and toe engagement. The Sensoria Sock 2.0 is available to pre-order now for $199, which includes a pair of the socks, the Core and a USB charger. 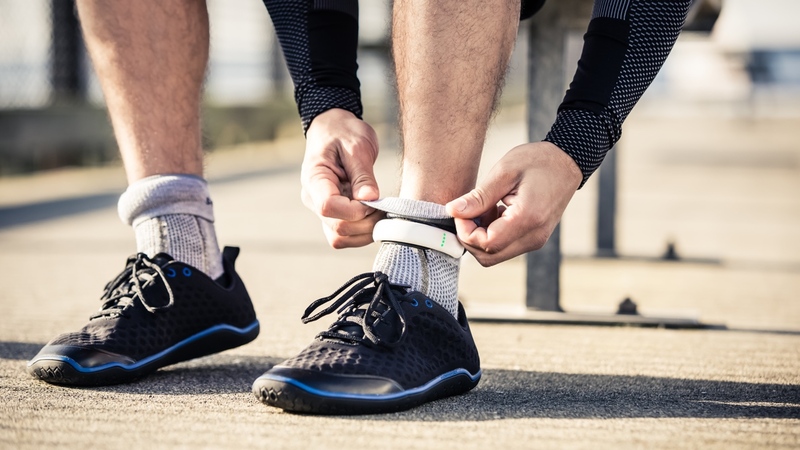 You can also opt into a monthly subscription, which provides a fresh pair of smart socks during the year, access to a new web dashboard and training plans via the Sensoria Run 2.0 app. The Sensoria-powered Vivobarefoot running shoe is expected to land later in 2017.